For a change we met at 5am ready for our departure to the last destination of the tour, the Piha Nature Reserve in the Northern part of the Central Andes. 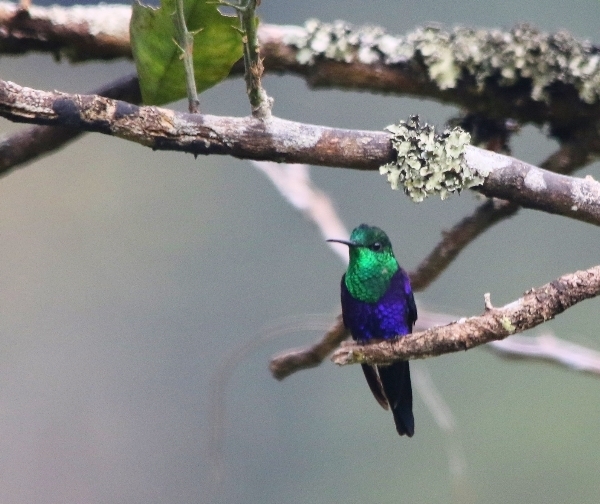 We drove through the huge city of Medellin and into rain on the edge of the city, it took an hour and 15 minutes to reach our breakfast café which was sited in a perfect position for us to see a good number of birds as we were close to the Rio Claro. A long list of species included egrets, The Great Egret was a first for the trip for many of the group. We also saw Snowy,Cattle, Bare-faced Ibis, hundred of Black Vultures and Carib Grackles. Other sightins around the café were Cattle Tyrannulet, Tropical Kingbird, Saffron Finch, Yellow-headed Caracara and several other species. We drove for another 1 1/2 hours before stopping on the main road to bird a forested area which overlooked a large lake, the lake had Southern Lapwing, Neotropic Cormorant and more Ibis. The birds we saw in the canopy of the trees on either side of the road were superb, two hours passed in the blink of an eye. 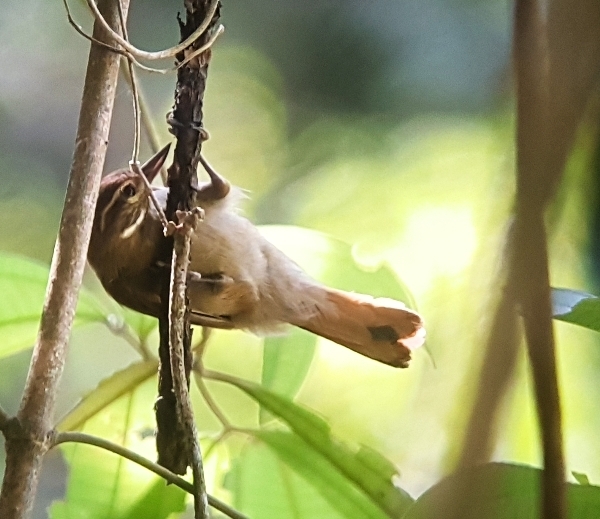 We started with Rufous-naped Greenlet, Scale-crested Pygmy-Tyrant, Yellow-tufted Dacnis, Brown-crested Flycatcher, Yellow-backed Tanager and Plain Xenops. Then came a series of resl goodies, we were trying to track down a Yellow-browed Shrike-Vireo but it was giving us a real run-around, however we kept getting distracted by the appearance of many other birds. Soon we had listed the endemic White-mantled Barbet, Red-billed Sythebill, Southern Bentbill, Striolated Manakin (my favourite bird of Colombia) and Striped-throated Hermit. One or two of the group found a Swallow Tanager and we all enjoyed Brown-headed Flycatcher, both Piratic and Streaked Flycatchers, also Ornate Flycatcher, Squirrel Cuckoo and finally we all had great views of the Yellow-browed Shrike-Vireo, what a stunning looking bird. Our second stop was another 30 minutes along the road, we stopped to search for Tody Motmot but we were unsuccessful. 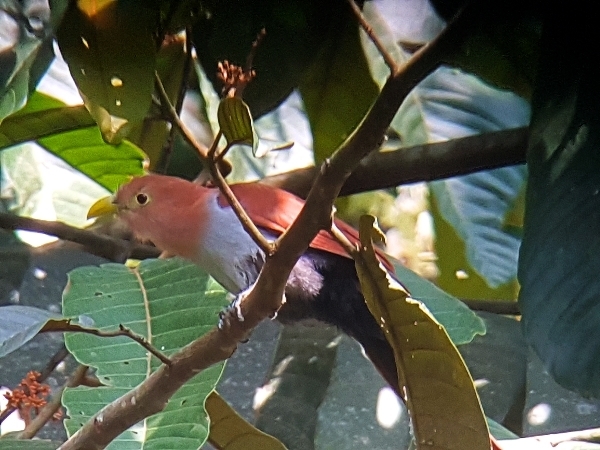 We did however see another Red-billed Sythebill and a few common tanagers and hummingbirds. A Grey Hawk showed extremely well in a dead tree, this was our first for the trip. An hour’s drive along a bumpy track saw us climb up to 1200 meters to the Rufous-capped Piha Lodge and Reserve. It was 1pm when we got there, just in time for a lovely lunch sitting on the terrace watching the feeders. We added another hummer to our huge list, the Crowned Woodnymph. A Blue-necked Tanger came down to bananas on the feeder and an Orange-bellied Euphonia sat nicely in the bushes. 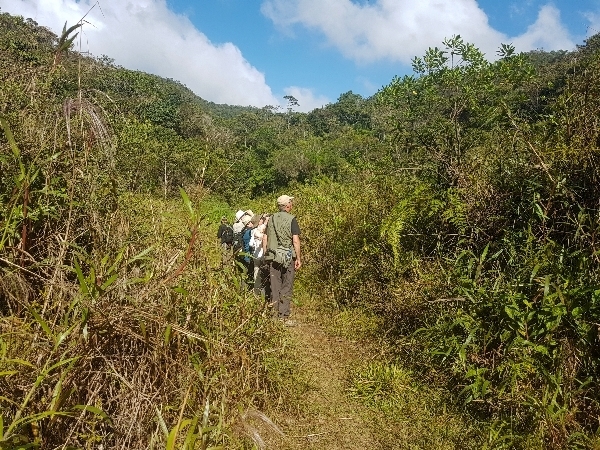 After a long lunch we set off in the bus for a short drive further along the track to visit one section of the Piha Reserve to look for our main target species the CHESTNUT-CAPPED PIHA. It was a bit of a climb along a single-file track through hot and humdit rain-forest. It took a while but we eventually all got to see the Piha but none of us were able to photograph it. 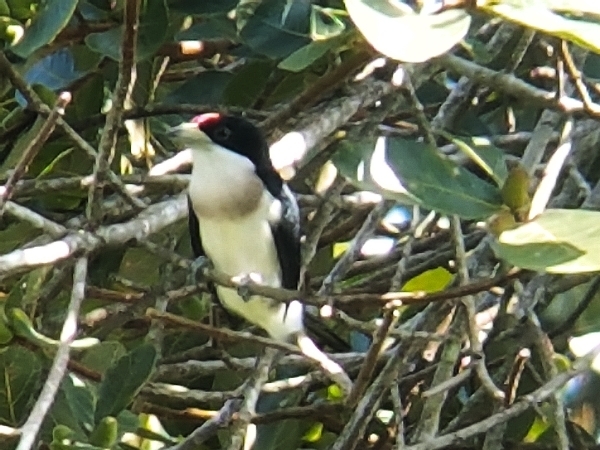 In thr meantime we also logged White-capped Manakin, Moustached Puffbird and on way down from the forest we saw a Collared Trogon. Our last birding of the day was along the main track back to the lodge and a short visit to a swamp area. A few new birds were seen but the light was fading fast and we became shrouded in low cloud mist. 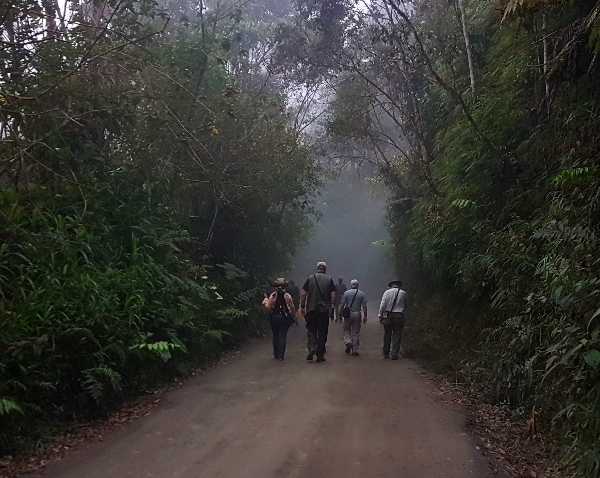 We saw Pale-breasted Spinetail, Lemon-rumped Tanager, Golden Tanager, Black-billed Thrush, our first Speckled Tanager, likewise Yellow-throated Chlorospingus, Green Jay (seen by two of the group), the endemic Colombian Chachalaca and we heard Wattled Guan calling in the distance. Dinner was taken at 7pm we were joined by hundreds of mothe of all shapes and sizes and after the bird-loig everyone we off photographing all the weird and wonderful moths, crcikets, beetles and other interesting insects. Tommorow is our last full day, we are due to spend it at the Piha Reserve and along the main track.